Thanks for the list, very interesting. I was born in Westfalen, between Bielefeld and Kassel. My family name is rather uncommon, but fortunately firmly nordid. It's a variation of the name of Odin's wife Freya, Frigg, Frigga. Is Ott a real german family name? Wir bleiben glaubensstark und ungebeugt! 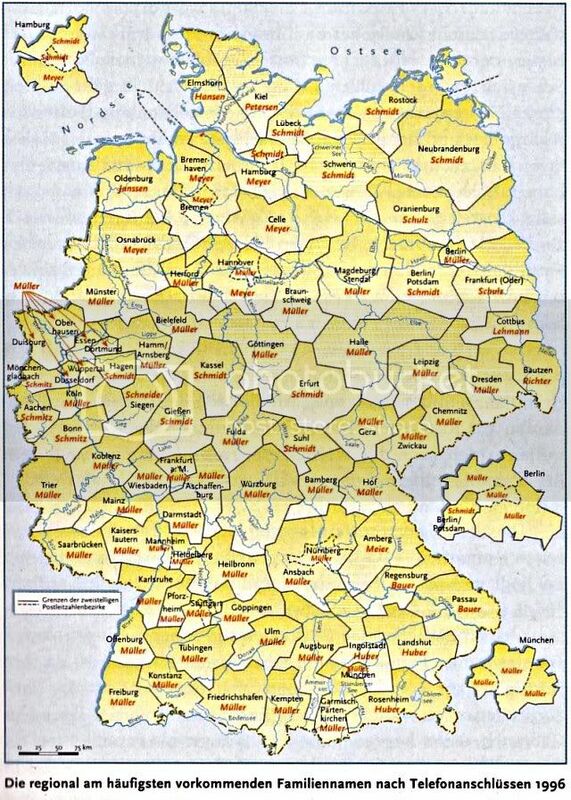 doch Deutschlands Leben, merkt euch, das sind wir! Last edited by JoeDas; Tuesday, August 31st, 2004 at 11:52 AM. Yes, most of these names have to do with occupations. I suggest Petersen and Hansen in the Schleswig-Holstein district is originally of Danish derivation. Many Christian names of former names became surnames and are usually patronymica. That Thomas and Martin aren't German in their origin, doesn't alter that. Other traditional Christian names of Germans like Johannes, Peter or Jakob aren't either. 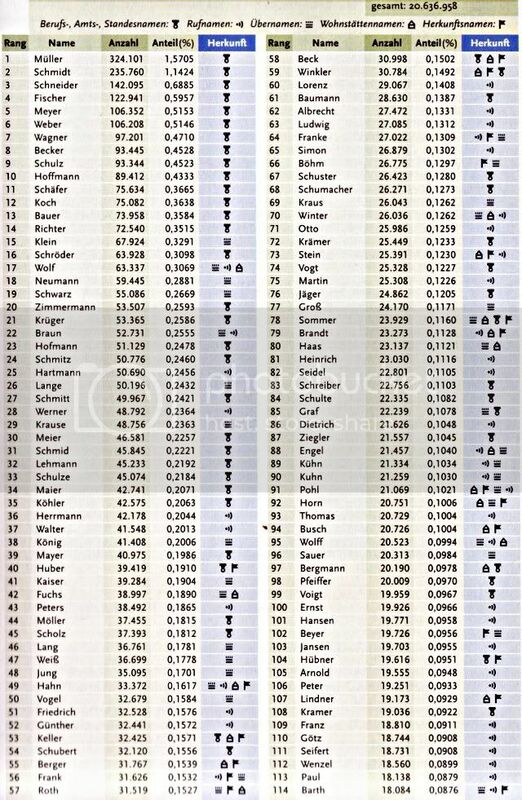 And Thomas and Martin should also be spreaded as surnames in England. Where Do These Family Names Come From?